Our insurance agency can handle all of your insurance needs from Business Insurance to Homeowners to Life Insurance, we have you covered. We help you select the right coverage so you are never stuck without enough or stuck paying for too much. 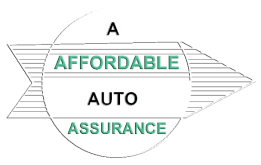 Affordable prices on Auto Insurance regardless of age, driving record, credit history, or vehicle. We can match you with an insurance company that wants your business. Don't go directly to just one carrier when we can shop multiple carriers for you in minutes. Serving West Palm Beach, Lake Worth, and Royal Palm Beach Insurance needs!